When it comes to its politics, “Supergirl” has been a reliably simplistic show. The story of Superman’s cousin, Kara Zor-El (Melissa Benoist), presented its progressive lessons to the audience in a manner similar to how old Saturday morning cartoons would. Generally speaking, the antagonists would express the views of real-life right wing cultural figures in the guise of superhero and science fiction related antics. The villains would be cartoonish and over-the-top, their arguments pathetically weak, motivated by nothing other than irrational evil, and would easily lose to the heroes, both in the physical sense, and in terms of the moral debate. Other times, the political message would be randomly shoved into an episode that was otherwise more straightforward. The show was better at regurgitating progressive talking points than it was at telling compelling, political allegories. That trend began to slowly change towards the end of the third season, which was otherwise plagued by sloppy storytelling decisions and dull conflicts. Still, some of the show’s finest moments came when it decided to seriously wrestle with real-world political issues. In the episode entitled, “Not Kansas,” James and J’onn (Jeremy Jordan and David Harewood), discover that a gun manufactured specifically for their government agency was also sold to the public, leading to the deaths of several civilians. By the episode’s finish, J’onn decides his agency, the DEO (the Department of Extra-Normal Operations), must use non-lethal weaponry against their enemies, due to the risks associated with traditional, lethal armaments. It’s not exactly a subtle criticism of America’s gun culture, but it doesn’t need to be. It works well because it’s a message that’s integrated organically into the story, doesn’t present the debate as overly one-sided, and takes its message seriously, not as a forced and cheesy addendum to the story. Yet, the political power of that episode pales in comparison to nearly everything the series has done in Season 4. The big bad of the season is not yet another maniacal alien, but an all-too human threat, literally and figuratively speaking. Besides his unintentionally silly metal mask, Agent Liberty (Sam Witwer) is an all-too-real villain, a seductively charismatic charlatan out to prove that all aliens are evil. He’s the show’s answer to its failed political storylines, and to the politics of today. This new villain is an amalgamation of many far-right wing figures present today, from charismatic yet deeply immoral media figures, to Trump voters dealing with real economic issues through racism. His origin story is impeccably crafted through flashbacks in the third episode, “Man of Steel.” There, we learn that the now-demagogic figure is actually named Ben Lockwood and was once a history professor who was sympathetic toward aliens. Yet, the show reveals that he has suffered in the face of Supergirl and her crew’s actions. During the events of the last three season finales, his house was destroyed, his father killed, he was fired from his job for speaking out against aliens, and more. He finds logical reasons to blame these tragedies not on bad luck, but on aliens. It was those aliens after all, who destroyed his life; he uses his knowledge of American history to craft warped narratives about the threat posed by outsiders, who are now comprised of aliens. All of which leads him to begin spreading his propaganda and leading violent attacks against aliens. It’s a storyline that works on an impressive number of levels. For starters, the show expertly walks the fine line between presenting Lockwood as sympathetic and as a force of evil. He has suffered unjustly over the last few years, but the show makes clear that his jump to blaming all aliens for his woes is illogical and based in hatred. Yet, this same illogic of his is also what prevents him from being another cartoonish villain for Supergirl to face off against, and instead makes him a genuinely compelling, and scary protagonist. If anything, what makes him and his villainous plans so unnerving is how the show expertly relates them back to reality. This is a man who has inspired others to dress up in masks and hoods and go door to door beating up and potentially killing innocent aliens. The similarities between the violent events of the show, and the racist violence embroiling America, are unnerving to say the least. They’re made somewhat more palatable by the show’s cartoony, slightly silly tone: this is a superhero show after all. As a result, the writers are smart to break the tension of watching a violent home invasion with a house pet morphing into a kind of dragon. Rather than work against its political messages, the show’s generally silly tone works in its favor, making it easier to watch otherwise horrifyingly real events unfold. 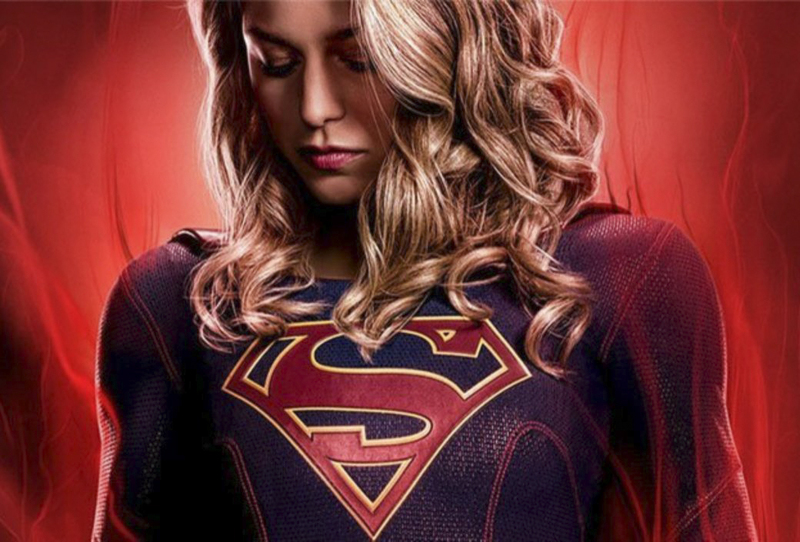 Simply put, the fourth season of “Supergirl” is some of the best political allegory for our current moment being produced; and I am just as surprised about that as you are. Still, there’s plenty of reason to be skeptical as to whether or not the show can maintain its current momentum. As already mentioned, it has previously struggled with political storylines and big bads, and it’s not impossible for the show to fall back on bad habits. It also remains to be seen how well this narrative could be resolved: “Supergirl” has always prided itself on being anti-violence, instead in favor of appealing to the goodness in everyone. It’s not hard to see how this could backfire, with some kind of forced, overly sentimental scene in which Lockwood and his goons renounce their former beliefs (not that such a scene couldn’t work, only that it needs to be handled gracefully to avoid schmaltz and sloppy motives for a change of heart). The show has also been teasing a more comical, ridiculous villain in the form of a clone of Supergirl, who seems to be working for the Russian government. It’s not unlikely that the show will abandon its current storyline and fall back on yet another uninteresting, one-dimensional villain. Still, the current season of “Supergirl” has been remarkable to watch. It’s a smart examination of contemporary politics, balancing empathy for its villain without forgetting the maliciousness he preaches. Its cartoonish tone has made its worryingly real story easier to swallow. Most of all, it shows growth and maturity from a show that seemed to have been spinning its wheels for the past two seasons.